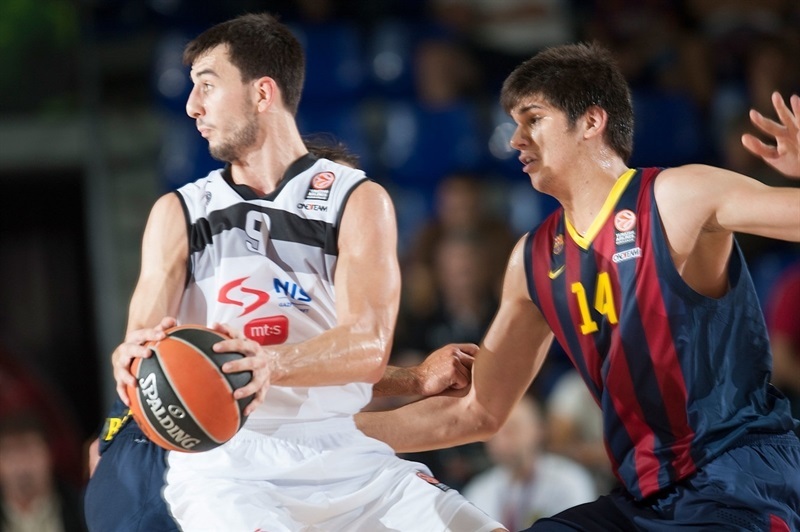 FC Barcelona grabbed its first win in Group A by topping Partizan NIS Belgrade 67-60 at home on Thursday. Kostas Papanikolaou and Ante Tomic paced the winners with 13 points. Marcelinho Huertas posted a double-double of 10 points and 10 assists while Joey Dorsey had 8 points, 10 rebounds and 3 blocks for Barcelona. Dragan Milosavljevic led Partizan with 15 points. Leo Westermann added 10 while Joffrey Lauvergne had 9 plus 13 rebounds for the guests. The first quarter saw as many as eight lead changes, but a dunk by Djordje Gagic allowed Partizan to get a 17-18 edge after 10 minutes. Both teams struggled to score in the second quarter, and a floating layup by Huertas gave Barcelona a 28-26 edge at halftime. Maciej Lampe shined late in the third quarter to boost the hosts' lead to 45-40 after three quarters. 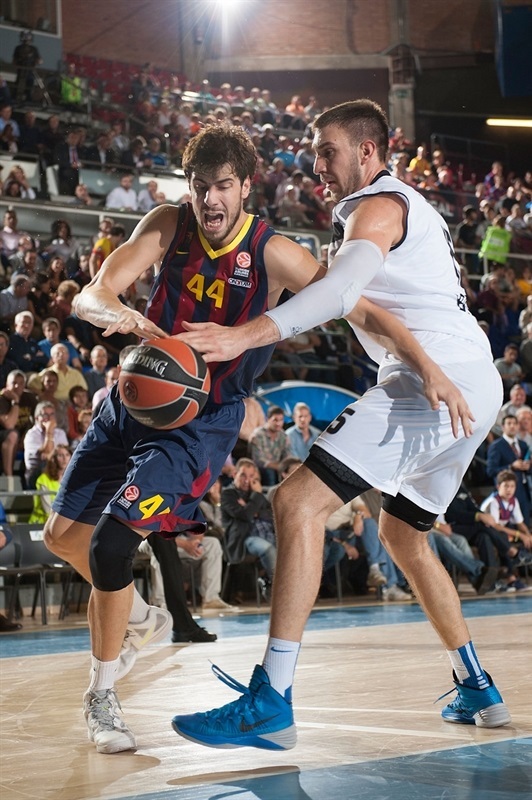 A three-pointer by Alex Abrines made it a double-digit game, 56-46. 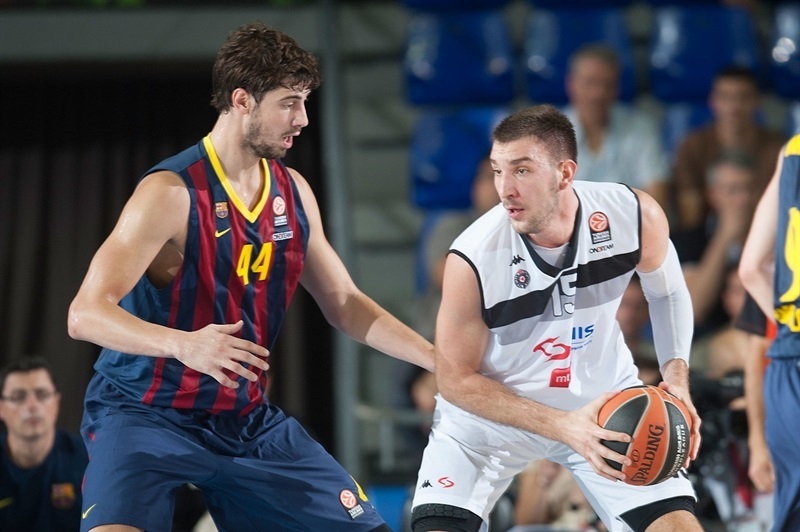 Partizan did not give up and managed to get within 59-54, but Lampe and Tomic stepped up to lead Barcelona to an important win. Dejan Musli got Partizan going with a layup that Tomic erased with a close basket. Partizan powered the offensive glass in the opening minutes and a put-back layup by Lauvergne gave the guests a 2-4 lead. Abrines struck from downtown, Westermann banked in a one-handed floater and a three-pointer by Lauvergne made it 5-9. Huertas fed Tomic for an alley-oop slam and a two-handed dunk by Dorsey tied it at 9-9. Barcelona improved its defense with Dorsey on the floor and Partizan switched to a 1-2-2 zone defense off a timeout. 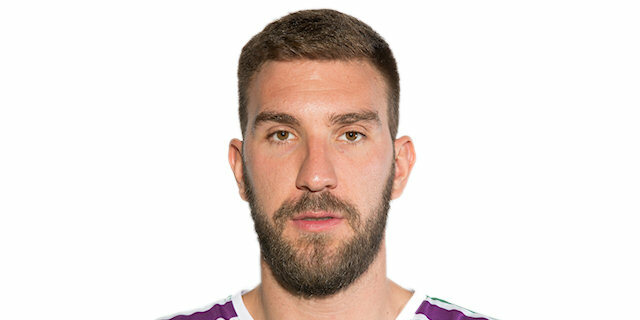 Huertas found his first points and answered Milosavljevic's three-pointer with another layup, good for a 13-12 Barcelona lead. Milosavljevic scored again and Bogdan Bogdanovic added a layup in transition to put Partizan back ahead, 15-16. 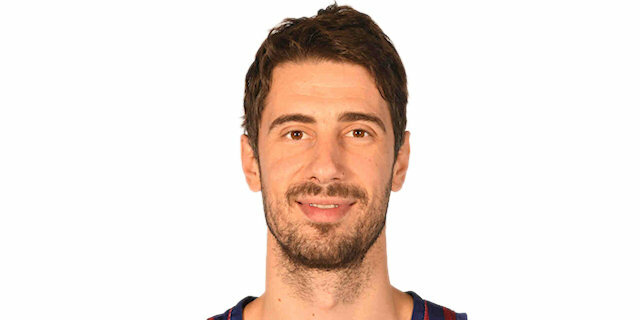 Juan Carlos Navarro connected with Dorsey for a wild slam, but a dunk by Gagic provided the eighth lead change in the game and gave Partizan a 17-18 edge after 10 minutes. Victor Sada nailed a fade-away jumper early in the second quarter, as Barcelona adjusted its man-to-man defense. Partizan was held scoreless for more than two minutes until Bogdanovic nailed a three-pointer. Marko Todorovic shined with a put-back layup, but a close basket by Musli put Partizan back ahead, 21-23. 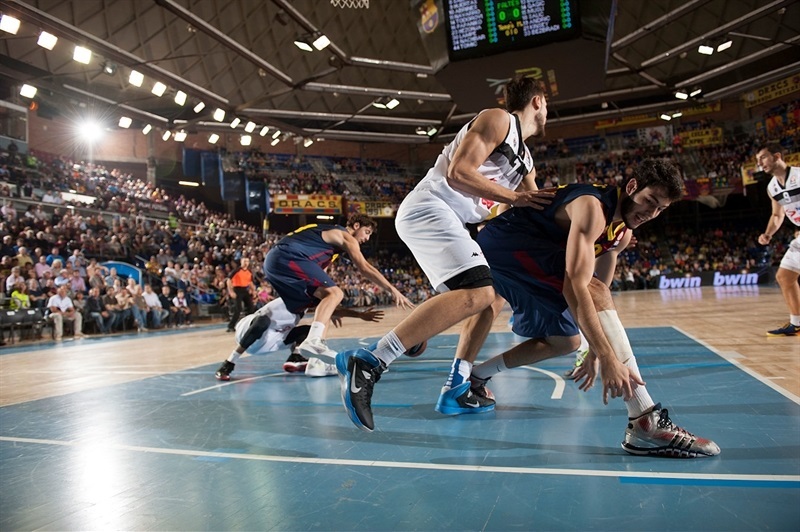 Abrines buried a long two-pointer, as Barcelona found the way to lock down the defensive board. Coach Dusko Vujosevic called timeout and Partizan stopped allowing close baskets. Meanwhile, Westermann swished an off-balance triple from the top of the key to restore a 23-26 edge. Barcelona tried to use longer possessions to find better shots, but the hosts kept struggling to score. Papanikolaou rescued Barcelona with a three-pointer in transition and a floating layup by Huertas gave his team a 28-26 edge as both teams headed back to the locker rooms. Both teams struggled to score after the break until Papanikolaou nailed a corner three-pointer. Westermann quickly answered from downtown and an off-basket basket by Tarence Kinsey - his first points - tied the game again, 31-31. 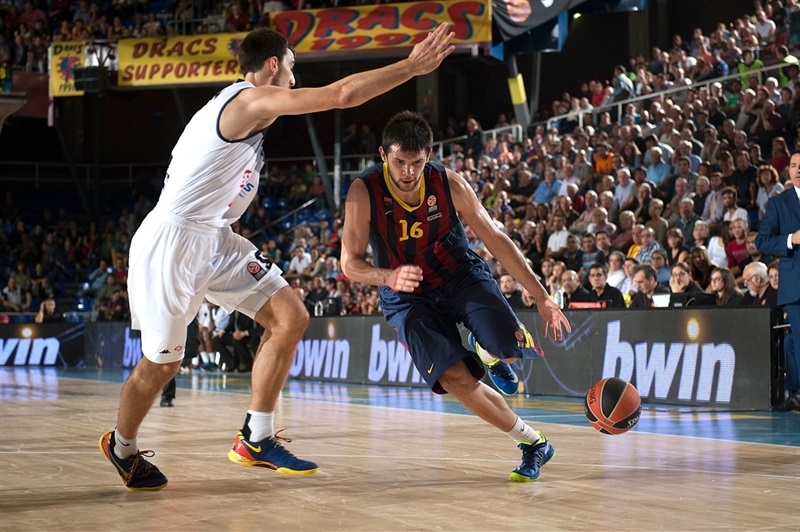 Huertas found Tomic for an easy layup and a free throw by Bostjan Nachbar gave Barcelona some fresh air at 34-31. Lauvergne scored again and a layup by Musli put Partizan ahead 34-35. Tomic scored around the basket but Kinsey soon tied it at 37-37. Bogdanovic split free throws, which Huertas improved on with a shot from downtown. Partizan could not find the way to the basket, but its physical defense kept the guests in the game. Both teams went scoreless for almost two minutes until Papanikolaou hit a free throw. 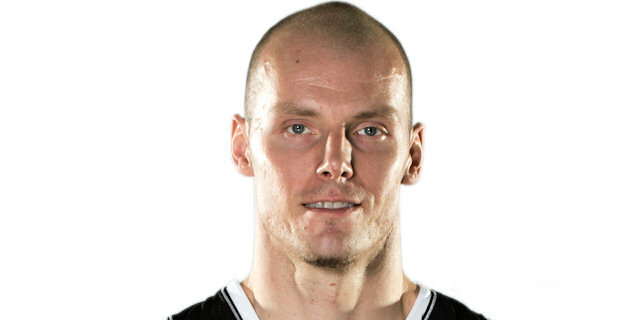 Lampe sank a jumpe,r but a five-meter shot by Westermann kept Partizan within 43-40. Lampe downed another jumper for a 45-40 Barcelona lead after 30 minutes. Bogdanovic took over with a high-flying reverse layup early in the fourth quarter, which Dorsey erased with a put-back slam. Navarro provided a highlight with a fast break three-pointer, which got the crowd involved at 50-42. Dorsey was all over the place on defense, with high-flying rebounds, a huge block on Lauvergne and a steal that allowed Papanikolaou to make it 51-42. Musli tried to change things with free throws and a layup by Lauvergne gave Partizan some hope at 51-46. Dorsey stepped up with a close basket, however, and a three-pointer by Abrines boosted Barcelona's lead to double digits, 56-46. Milosavljevic struck from downtown, but Papanikaolou matched at the other end. Milosavljevic insisted with another three-pointer and a wild dunk by Gagic made the hosts call timeout at 59-54. 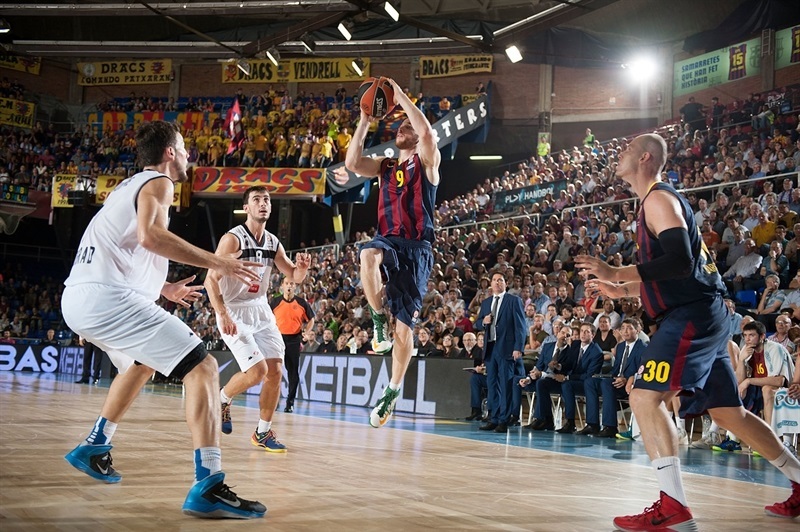 Lampe beat the shot clock with a jumper, Gagic scored around the basket and Navarro gave Barcelona a 62-55 in the next-to-last minute, enough to cruise to its first home win in this 2013-14 Turkish Airlines Euroleague season. An alley-oop dunk by Tomic sealed the hosts' win in style. "It was a tough game, just as we expected it. Partizan did not surprise us because we had two very tough games against them last season. We won by 2-3 points here, with them taking the last shot, and we won in Belgrade in overtime. We didn't shoot the ball well, especially free throws and three-point attempts, but we also had a lot of positive things, especially on defense. In fact, defense allowed us to win a complicated game in a complicated group with three favorites and another three teams able to surprise. Fenerbahce was trailing against Budivelnik in the fourth quarter and CSKA won by 3 points." "Congratulations to Barcelona. 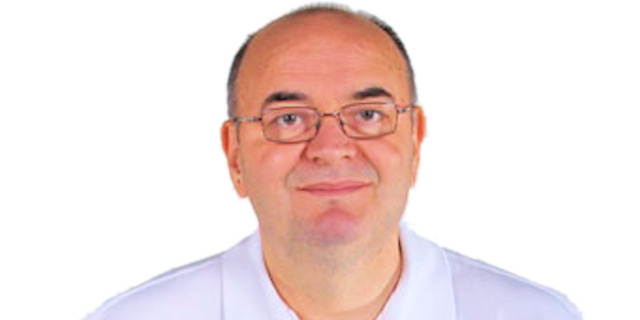 I think we saw a good game at the Euroleague level, respecting both teams' reputation. Neither of us had a full team - they were without Lorbek and Oleson and we were without Bertans and Milutinov, which means a lot to us. We will increase our playing level throughout the season. 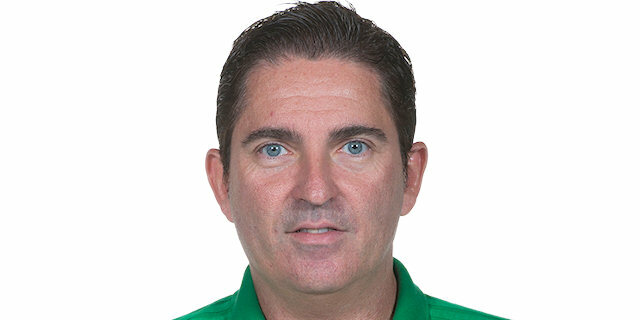 There is a subgroup in this group with Nanterre, Budivelnik and us. We will look for our chance to get to the Top 16 and are already thinking about next week's game against Nanterre." "The game was more complicated than I expected. We had a lot of problems against their offensive rebounds in the first half. We improved this in the second half and our good defense allowed us to win the game. When you allow 60 points, it means that you played good defense, something that we cannot say about our offense tonight. With the free throw and three-point shooting percentages we had, we couldn't score more than 67 points." "This is the Euroleague and nothing is easy. We struggled throughout the game and did not play well on offense. Partizan grabbed a lot of rebounds, which kept them in the game. We have to improve that. We never thought it would be easy. We are still trying to find our own rhythm, 67 points is a low score for a team like ours. We will work harder to improve on offense and play tougher." "We fought hard and gave our best in this moment. It was not enough to beat an opponent like FC Barcelona on the road, but there are signs that make us feel optimistic. We have to think about our next opponent. We thought we would have a chance at some point, when we were up by 3 points and missed some shots to increase our lead and make them nervous."